Typography is more approachable than ever. See changes in all glyph sets instantly and make design adjustments in a intuitive WYSIWYG mode. Easily remove or add serifs (with a simple click) to give your typeface a special look. Intuitively customize the basic shape of letters, serifs, diacritics, and every tiny detail. The parametric technology is based on the skeleton principle: move master points to design your font efficiently. You don’t love that version of the small a? Swiftly switch between glyph alternates to pick the perfect one. Visualize any font you are working on in real time on any website with the free Prototypo web extension. It gives you the possibility to design your font for the context it will be used in. Quickly modify a single glyph or groups of glyphs with ease, without altering the rest of your glyph set. All Prototypo fonts are under the Creative Commons 0 license. It enables the free distribution of an otherwise copyrighted work, meaning all fonts created in Prototypo can be freely shared and sold for commercial use. All Prototypo fonts are powered by the award-winning type foundry Production Type. Export fonts to OTF formats to use them for any web and print projects with no usage restrictions. Once you’ve downloaded the font, it’s yours, and you own it forever. Directly export Prototypo font creations to open source font editor Glyphr Studio. 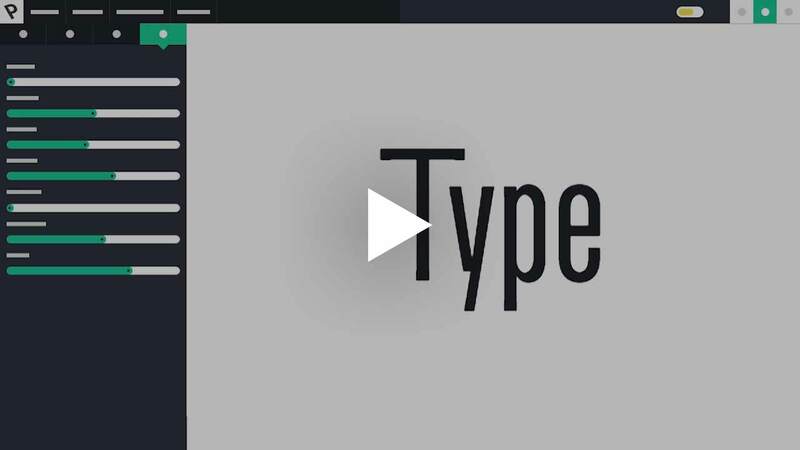 Import your own static font into Prototypo workspace as background image to draw inspiration and comparisons from the font you are working on. There are two ways to quickly create new typefaces: parametric fonts and collaboration and Prototypo masters both. Start creating a new font and exchange with your design team all within the application. Propose new shapes, validate and iterate: Speed up your workflow with the direct communication between team members to get perfect outcomes. Host fonts on your website straight from the Prototypo app. Need corrections or want to touch up your design? Update all hosted fonts in a matter of seconds. Share your creations with your team and the Prototypo community. Find inspiration or start from an existing font to fit your needs.